Steam-elf? No punk edge, but still fun. The Tinkerer’s Daughter by Jamie Sedgwick. The Tinkerer’s Daughter is an above-average novel with an engaging main character and fast-paced narrative. The world-building is kept mostly unobtrusive, but it does depend on the reader’s knowledge of elves to fill in some gaps. The setting includes inventions of steam-powered vehicles by the Tinkerer, without all-out characteristics of steampunk. As a food item, I would describe it as fresh popcorn – tasty and not unhealthy, but not a meal. The main character, Breeze, was the highlight of this book. Her narrative point of view is enjoyable and easy to read. The book launches with a tiny bit of background, explaining the racial tensions between humans and elves and also explaining that Breeze is young but will mature very quickly to her adult size. The triggering event for the novel is her father’s departure to join the war. As soon as Breeze is fostered off with the Tinkerer, the plot revs up and Breeze is swept up into large-scale action for the rest of the book. I was definitely drawn in to the story. Blood, Sweat, and Gears: no Tears. Nonetheless it’s great. My spoilerish summary, inspired by the jacket copy: Paolina has crossed the Equatorial Wall and seeks a home in the Southern Earth. She hopes to stop using her power so destructively, but is continually faced with unavoidable need to do so. Mask Childress styles herself as a diplomat and attempts to halt the war between England and China, yet ends up embroiled deeper and deeper. Boaz is troubled by conflicting goals, thoughts, and emotions. Does he want to restore his nation of Brass Men, does he want to reunite with Paolina, and what role should he play in the conflict? Gashansunu, a ‘power’ of the South, travels from her power base in search of Paolina. She finds herself further from her home than she ever thought possible. Kitchens, a clerk/assassin dispatched with multiple orders from England, travels in an almost directionless arc as he’s buffeted by these much larger forces. He ends up pursuing only one of his missions, but this sweeps in virtually all the other main characters. 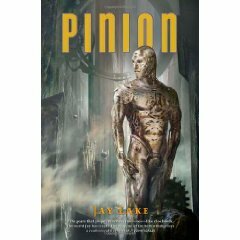 Pinion is the third and best-so-far book in Jay Lake’s Clockwork Earth universe. Pinion combines the best aspects of the first and second books in the trilogy, to make a closing book that is better than its predecessors put together. Mainspring (book one) had great descriptive writing and philosophical richness but I wanted a stronger sense of momentum. Escapement, book two, had a great pace and strong action, but I wasn’t as struck by the atmosphere or the subtext. In Pinion, the pace is brisk and the characters converge on a common goal plus there is thought-provoking conflict between free will, destiny, belief, and religion. Paolina comes face-to-face with Hethor, after he was totally absent in the middle book. I was glad to see him included in the narrative. They have some interesting philosophical notes to compare – and yet tedium is avoided too. Zep'lins and Clockwork and Mainspring, oh my. 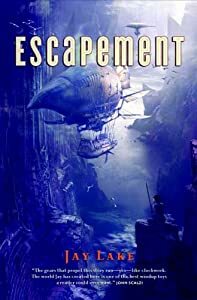 Escapement by Jay Lake is a followup/sequel to his 2007 novel Mainspring, a clockwork, steampunk travel fantasy. I liked this more than the first one – in part because the pace feels faster, but also because these particular characters clicked for me. I’m lining up the next one to read immediately. This book takes place in the same world but now follows three new principal characters. Each of these people sets out on a journey with a particular mission or goal, and the novel follows their progress as they meet, part, and meet again. The characterization is solid and the visual detail is again as impressive as in Mainspring. The plot gives each of the leads a good solid motivation to get underway and keep going – when characters troop around needing to go somewhere and do something, there’s always a risk that it will feel like only a quest for plot coupons. In this case, there is urgency and risk as our various heroes battle storms and troops to a satisfying conclusion. 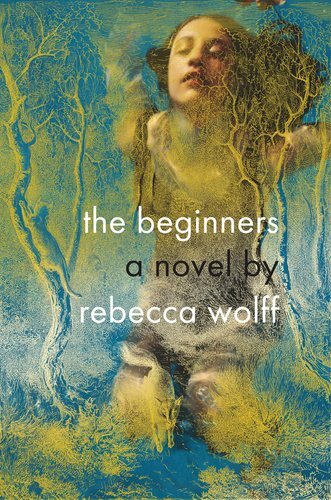 If you enjoyed the first book, you’ll definitely like this one. I think this was Lake’s first published novel, according to what I remember of the brag-quotes on the cover. With that in mind, I was very impressed with this writer’s obvious experience and skill. But, sometimes the scale of the effort made me a little nervous about the final destination. All in all, worth the trip. Now on my list of follow-up authors. There is a lot of ground covered in this book. There is an angel in the first chapter, who arrives and tells our young hero that he must somehow stop the Earth’s Main Spring from winding down and causing an apocalypse. Don’t be thrown off by the initial theology focus – it does not stay that way. This ongoing metamorphosis of theme and location may be why it took me a little longer to read the book. In some ways it made it odd that the one young man was experiencing all these things – from the almost Dickensian apprenticeship with the clockmaker, to the baroque Boston court where he tries to deliver his warning, to the airship which heads to the world’s geared equator. Excellent descriptions of the vertical forests, btw. Really a sense of scale given for such an impossible landscape. So, our young hero treks hither and yon collecting plot coupons and sees some interesting/fascinating parts of this clockwork world. Not slamming the construction of the story, just saying that there’s no loitering about – it’s go-go-go. The book reaches a resolution, but not to the extent that it rules out sequels to finish saving the world, but not leaving you totally hanging. Overall, it’s thoroughly atmospheric and a tiny bit draggy in parts, maybe because I was trying to catch my breath and say ‘wait, we are where & doing what now?’… but an interesting experience. Lucky I read this! When I saw the cover, I thought this was some other steampunk angel story, which I started and rejected in the days before this blog. I am happy to report, this is not that book with the gruesome vivisection of angels to convert their energy to fuel. I still don’t want to read more of that other one. The tone of Mainspring reminds me of the Monster Blood Tattoo YA series, in that the central character is a newcomer to the world of intrigue. And, steampunk/magic of course.